I'm really excited to be selected as a speaker for SQL Saturday 62 in Tampa on January 15th 2011, register today at http://www.sqlsaturday.com/62/register.aspx ! Just a quick blog this evening, the whole family, myself included, have been under the weather. I wanted to get something out on this, and I’ll put more out in the coming days. The topic I will be presenting on is Compression. My session is titled Page and Row Compression How, When, and Why, and I’m very excited to be presenting on this topic. There are also a lot of really great sessions but other speakers, to check out the full line up click here. I'm going to break up the subject and talk about it in parts, we will start with a very brief introduction to the concepts in Row Compression..
Row Compression was introduced to us in SQL 2008, it’s predecessor was vardecimal compression introduced in SQL 2005, and subsequently deprecated in SQL 2008. It is still available in 2008, but vardecimal compression does almost the exact same thing as Row Compression, but on variable length numeric fields. The premises is that you take the variable length columns from a record and you make them a fixed length field, you take the variable length array and covert it from a 4 byte field to a 4 bit field, and there is also special handling for nulls and zero values. 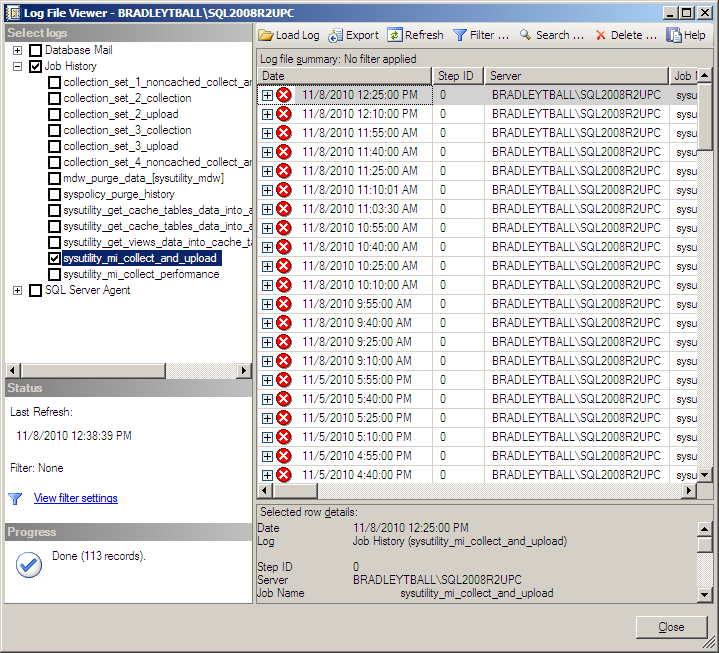 In SQL 2008 R2 Row Compression was extended even further to include Unicode support. Okay, it sounds smart but what does it mean? We are extracting every bit of extra space down to trim the size of the data stored in a record on a page. Row compression should be synonymous to you as saving space! If you move from a bigger house to a smaller house then you toss some things out, re-organize, possible consolidate a little. This is what is going on. Now keep in mind that not all data-types are covered and this is for In Row Data, LOB and Row Overflow data will not be compressed. We’ll save more for later, but needless to say we next need to talk about Page Compression, what makes it up, how to tell if your tables are candidates for compression based on your record types. Also your tables activity level, and type, can help you estimate what kind of overhead to expect from compression. Happy Thanksgiving!!!! Just wanted to take a second to write a quick update, I'm working on some presentations for an upcoming SQL Saturday in Tampa. I've submitted a couple sessions and we'll see if any get picked up. Regardless I'm looking forward to attending the event and catching up with some friends and fellow DBA's. 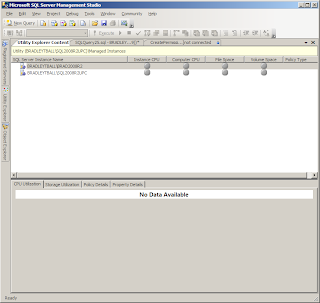 So I’m taking a look at Master Data Services, which is a new addition to SQL 2008 R2. 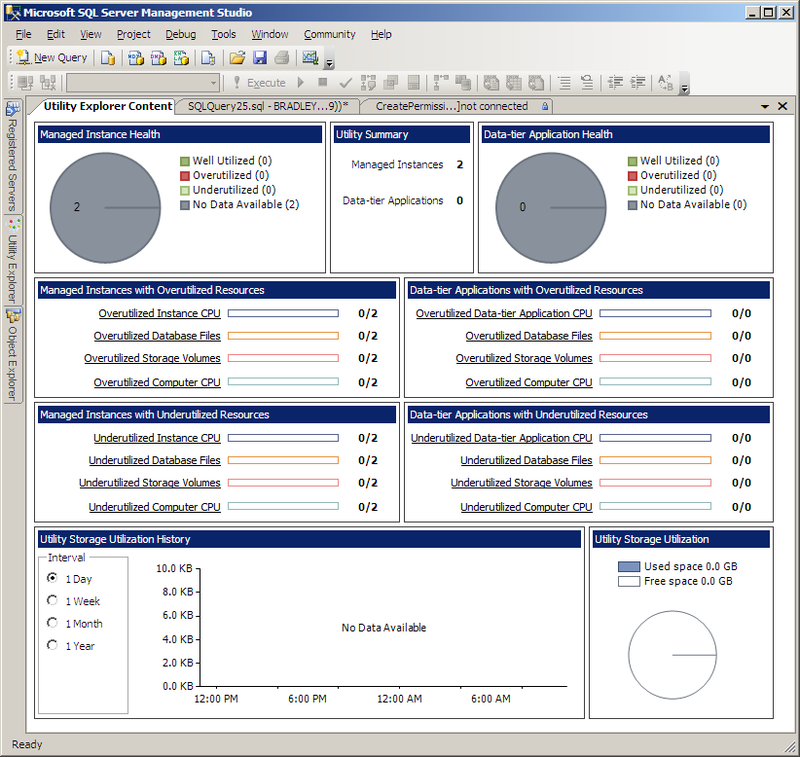 SQL 2008 R2 added a lot of new features to SQL Server, a lot of them will push DBA’s outside of the normal box we sit in. That box has become a lot smaller over the last couple years as certifications have pushed us to be Database Administrators, Database Developers, or Business Intelligence Developers. But all three professions had area’s that overlapped one another, and more often than not the way a work place will define the title depends on what they want you to do. Strictly speaking, and going by the area of study covered by the certifications in each area, Master Data Management would seem to be a concept covered by Data Architects and maybe Database Developers. 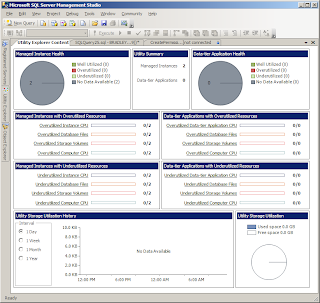 However, Master Data Services ships with SQL 2008 R2 and if you company bought it you may be asked at some point to install it, or even what it does, And in that case here is a bit of an overview. 1st if you are using SQL 2008 R2 or looking at it I would encourage you to go to, http://blogs.msdn.com/b/microsoft_press/archive/2010/04/14/free-ebook-introducing-microsoft-sql-server-2008-r2.aspx?wa=wsignin1.0 , and download the free e-book Introducing Microsoft SQL Server 2008 R2 by Ross Mistry and Stacia Misner. Ross is an expert with Microsoft and is currently working implementing SQL Server solutions out of the Microsoft Technology Center in Silicon Valley and Stacia is a BI expert that currently works for the amazing folks at SQLSkills.com. The E-book is free, which is always a great bargain, and is chocked full of tasty knowledge nuggets……. mmmmmm nuggets. So what is Master Data Services? The 50,000 high view is a location where you can import multiple sources of data, organize the data, present a master view of the data, that can be exported to source databases, but will not be in and of itself the Gold Master Database. 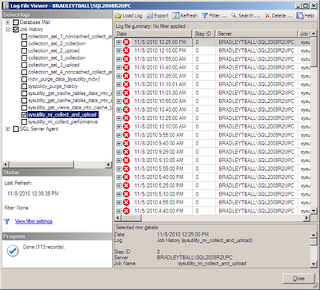 Master Data Services uses a web API, and is not exposed via SSMS, SQL Server Management Studio. It can integrate with SQL Server Sharepoint and have work flows and business rules written against it. It exposes the Windows API and can have custom C# components coded for it. You can set it up as a multi server deployment, or on one server. However it will require x64 hardware and a Web Server. 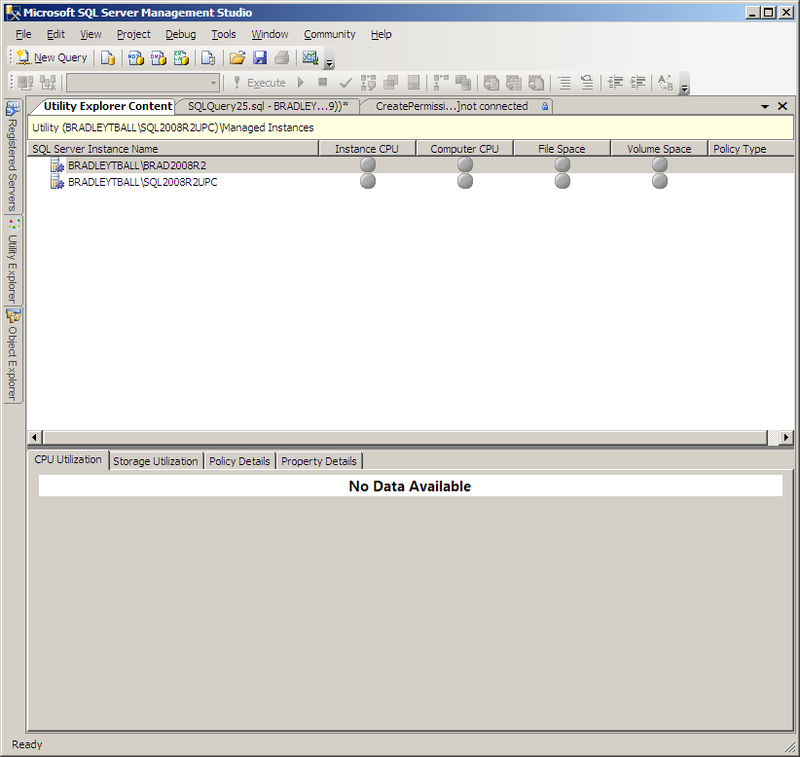 For an overview of how to set up/install MDS take a look at the Master Data Management Team Blog, http://sqlblog.com/blogs/mds_team/archive/2009/12/10/installing-and-configuring-master-data-services-2008-r2-november-ctp.aspx . So reading over that description you may say, “this is a DBA/database technology?!?”. 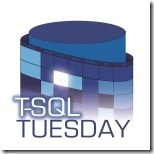 Microsoft has decided that it will bundle it’s data related components with SQL Server. This is good and bad in that normally you would do a point and click install for SQL Server, there are much more complex installs, but normally you have a Database Server, a set of drives, and your application lives on this server (be it virtual or physical). You have applications that use your databases and data cubes, you may have dedicated SSRS and SSIS servers. But at the end of the day we are a portion of an application, not typically the whole of an enterprise level application. Master Data Services is, IMHO, an Enterprise level application. It is a much deeper dive than just point click, optimize, and maintain. I’ll be taking a deeper look as I go, but I just wanted to offer an up front, that this will not be a normal DBA road trip. So I’m trying to install SQL Server 2008 R2 Utility Control Point, so I can take a look at all that the product has to offer and see how we can utilize it at my current place of business. For the sake of full disclosure I’m doing this on a laptop running Windows XP SP 3, x86, Dual Core Processors and about 3 GB of memory. 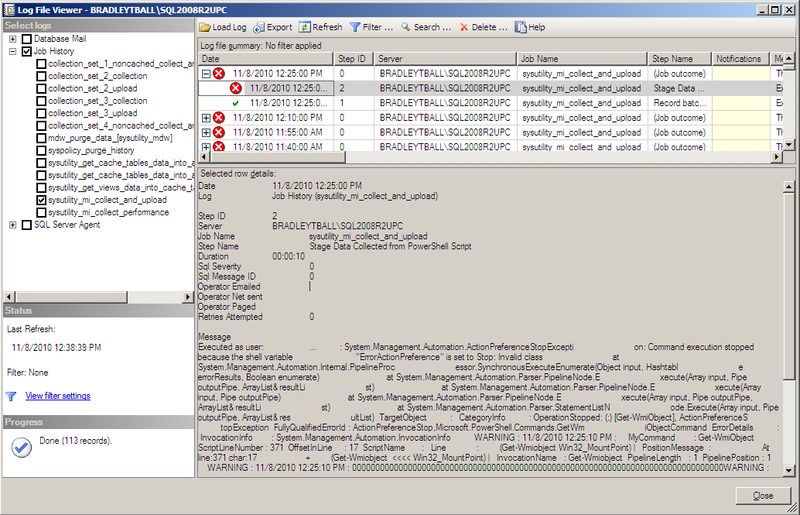 I installed it about a week ago, and set up another named instance and had a SQL Agent Job running stored procedures from Adventure works every minute, to help simulate a work load on one of the databases. I’ve read how it can take up to 45 minutes to get data posted to the dash board and so I set the jobs and got busy doing other things. One week later I take a look at my Utility Explorer to see all the beautiful looking screens. Needless to say this isn’t what I expected to see. It almost looks as if there is no data. So I check my enrolled instances to see what status they are running under. Now I’m really bothered, apparently something has gone wrong. 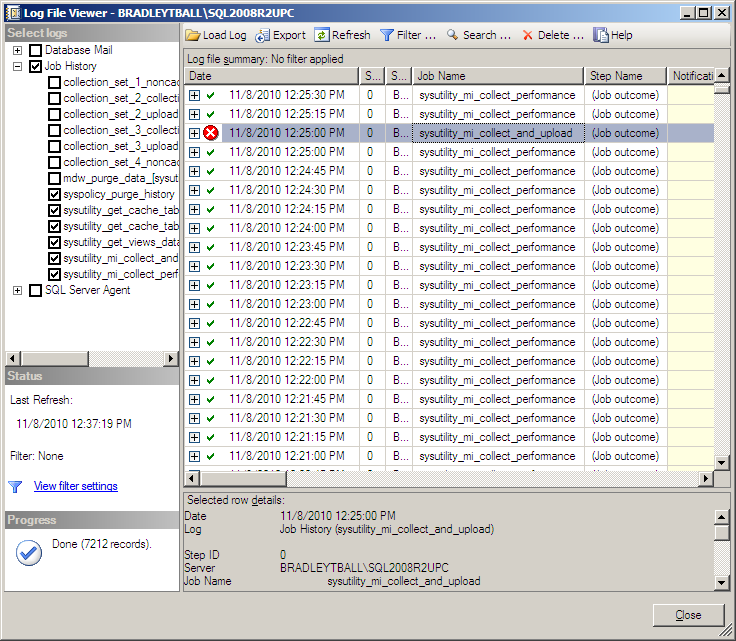 So I take a look at my SQL Agent jobs to see if the jobs were created and if the history has been running properly. 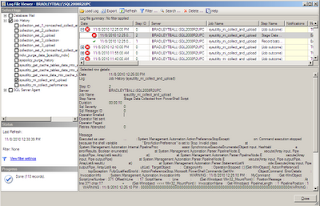 I see that my sysutility_mi_collect_and_upload job has been failing. So I isolate just that job, seeing as how collecting and uploading the data is directly related to seeing nice dashboards (or so I would guess). And YOWZA! This has not been running at all, a quick glance back over the history and I can see this job has never run correctly. Let’s take a closer look at why this is failing. When I set up the UCP I remember seeing one Yellow Warning/Yield Sign. Honestly I breezed right by it, because if it’s not going to work you get a big red Error sign, right. Right? Wrong. The Warning box was pointing to WMI not being set up correctly. There are several Powershell class files that are required by UCP. So the Question is what are they and how do you check that they are there. As you can see from above this is the error you will get if you are missing one of the classes. A little more research shows me that Powershell 1.0 and Windows XP does not contain Win32_MountPoint and Win32_Volume classes. This was reported on Microsoft Connect at here: https://connect.microsoft.com/SQLServer/feedback/details/540412/sysutility-mi-collect-and-upload-job-failure?wa=wsignin1.0 . The link above lists a “work around”, by a user named Dryknot. 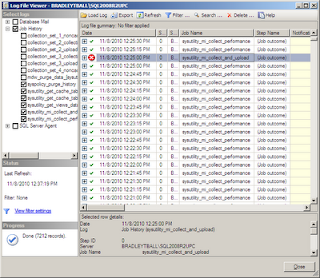 I would not recommend this solution as it recommended opening up the SQL Agent job and editing the PowerShell Code. No offense to Dryknot I’m sure that she/he is a perfectly great person, and that they took the time to post a work around to help others shows that they are indeed a great person just trying to help others. But there are 2 reasons I would not make this change. You are changing the requirements that are being gathered from one class, Win32_MountPoint to another, Win32_MappedLogicalDisk. So it’s like saying I want to gather information on an Orange and buying an Apple. One thing is not like the other, even though they are both drive classes. I’m missing 2 classes. Even if I were to fix the Win32_MountPoint issue, I would still have one with Win32_Volume. 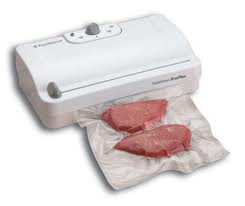 And if you use Mount Point’s you know how critical it is to gather space usage on them. DON’T CHEAP OUT HERE. Do not accept substitutes go for the original. So If you are planning on implementing a UCP on a Windows XP machine make sure that you have Powershell 2.0 running or you could end up with the same results I did. All advice is AS IS. There are no warranties or services provided as a result of anything you see here.